The forces commanded by Takasugi Shinsaku, Yamagata Aritomo, and Ito Hirobumi set up their headquarters at Kinreisha Shrine in Oda, leading to conflict with the Hagi government garrison that was stationed in Edo. Numerous monuments and lanterns related to the Meiji Restoration have been erected in the precincts of Kinreisha Shrine, where the armies were headquartered. Nara’s daibutsu, or giant Buddha statue, took a great deal of copper to make, and the Naganobori Copper Mine in Naganobori, Mitocho, Mine, where that copper was taken from, has been designated a national historic site. At the Daibutsu Museum, visitors can learn about copper and the history of copper mining in Japan, as well as the role that copper plays today. This is the only place where real mokkan—strips of wood used for writing official messages from ancient times—can be seen on display. 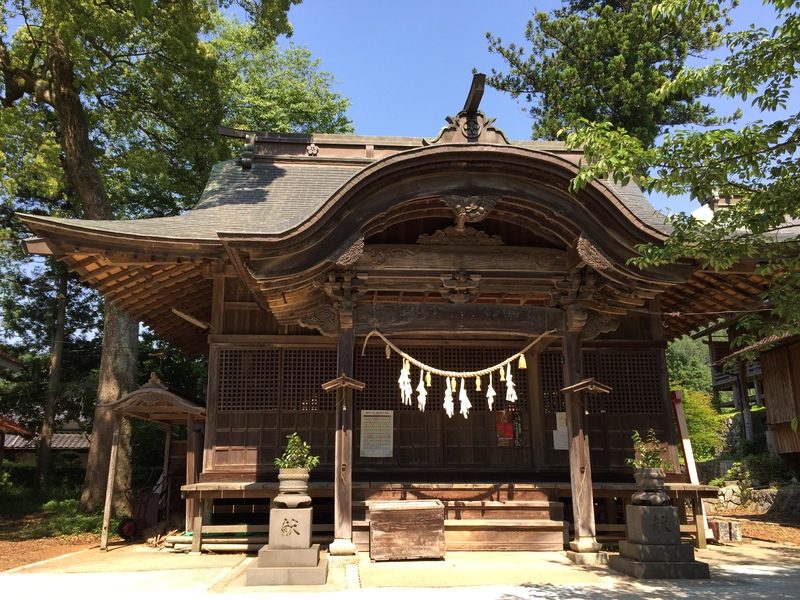 The place where the Battle of Oda-Edo, the spark that triggered the Meiji Restoration, took place is located nearby, and relics from that battle are also on display. 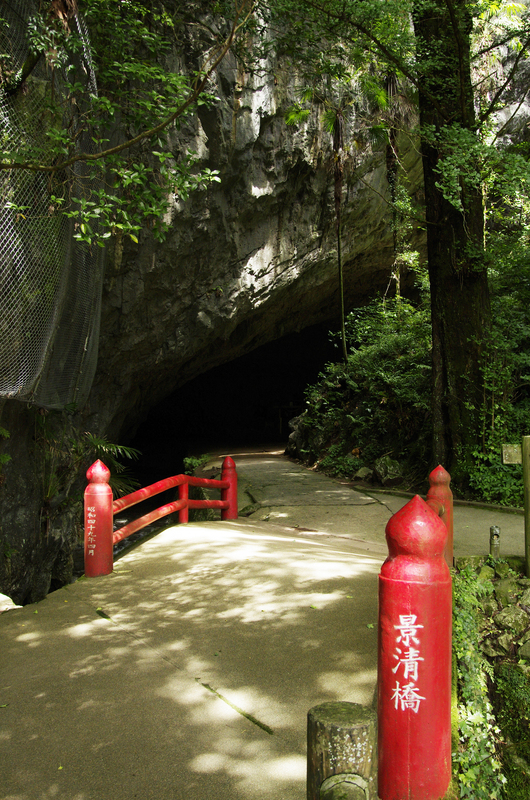 Taishodo Cave, situated at the northeastern end of Akiyoshidai Quasi-National Park, was called Ushikakushi-no-do (“hidden cow cave”) in ancient times, as it is said that villagers would hide their cattle there during times of war or unrest for fear of theft. The cave has many great sights, including the “The Entrance to Hell", the “Wobbly Road”, and the “Lion Rock”. 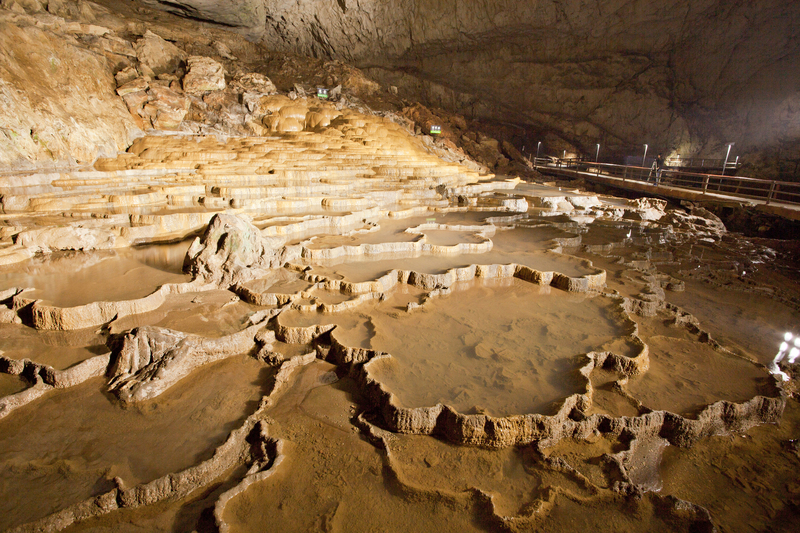 Visitors can have a great time on an adventure of cave exploration. Portable audio devices are also available to tell you about the cave. This cave is said to be where Taira no Kagekiyo (Oba Kagekiyo), commander of the Heike clan, hid when he lost the Battle of Dan-no-ura. The walls and ceiling are as magnificent as works of art, and you can see fossils of fusulinid, coral, and seaweed. In addition to the sightseeing route, there is an adventure route (that takes about one hour) that allows visitors to look for troglofauna and fossils. 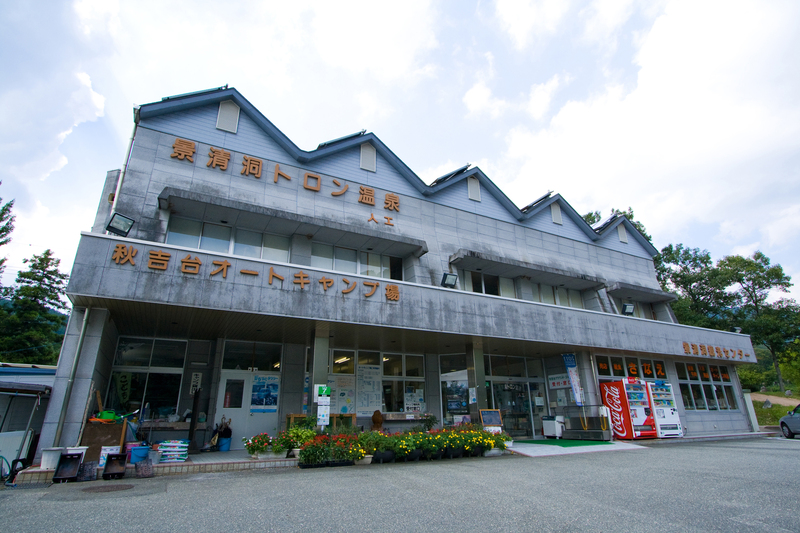 Kagekiyodo Tron Onsen is also located nearby. 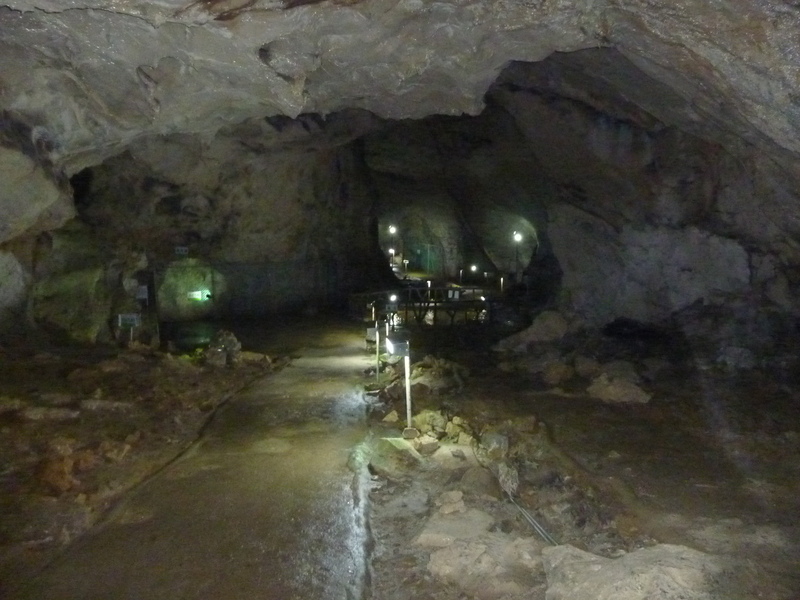 100 meters below the surface of Akiyoshidai with its entrance in the southern foothills is Akiyoshido Cave, one of Japan’s greatest limestone caverns. The sightseeing route inside the cave is about 1 km long (of an overall cave length of 8.9 km), and the temperature is a steady 17°C throughout the year—cool in summer, and warm in winter‚ making this a comfortable place to visit for both elderly visitors and children. 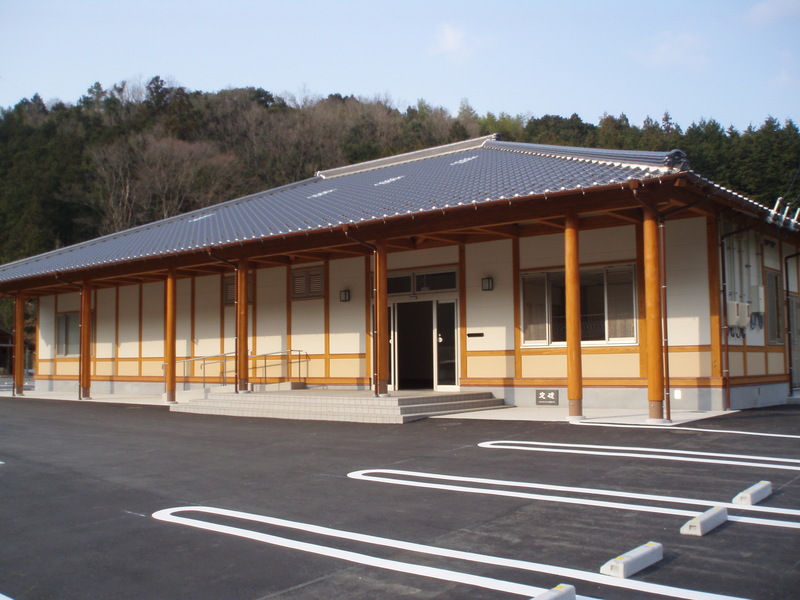 Information on Yuda Onsen sightseeing attractions and restaurants is available here. 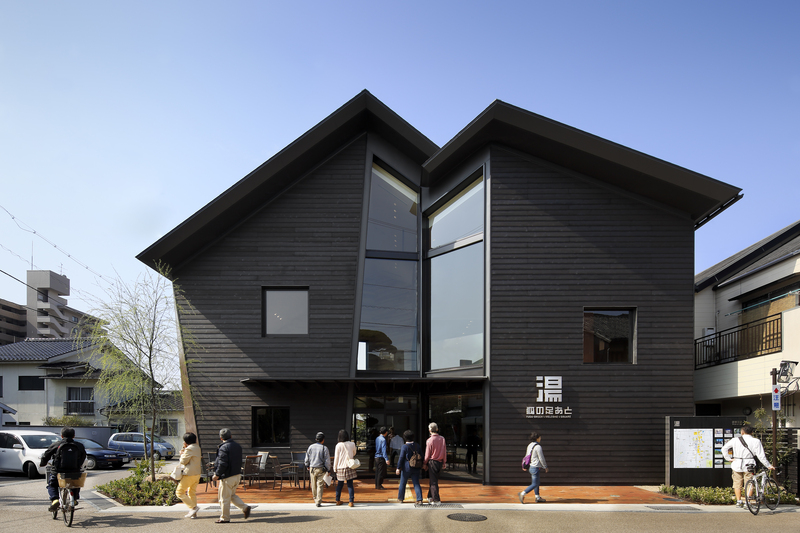 Inside the building are three distinctive foot baths you can soak in while you enjoy food and drink unique to Yamaguchi, such as local sake and uiro, available to order from the café. © UMIYAMA Cycling All rights reserved.